When I first tried to windsurf it was a disaster. Back in the late eighties I tried to balance on a friends board on a lake in Bavaria. As the mast was not properly fixed to the board I lost my balance and fell on a sharp stone in the shallow waters. Great. Later back home we tried the same board with a boom, which was loosely fixed with a cord - not a brilliant experience either. brochures. 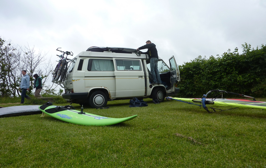 Learn about board design and find links to manoeuvre guides. We compiled a section of cool windsurf videos from different sources. 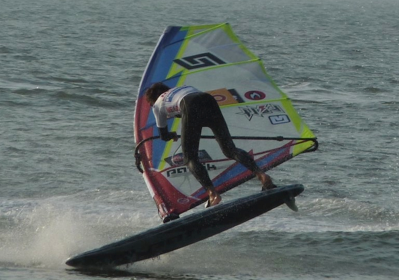 Lots of pictures from the PWA World Cup Sylt..